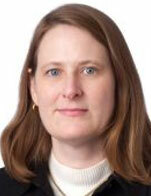 Ms. Freeberg Sarma is Counsel in the Shipping Group at Reed Smith LLP. Her areas of focus include ship finance, bankruptcy and troubled finance workouts, U.S. regulatory compliance and sanctions and maritime litigation and arbitration matters, including charter party disputes, vessel arrests and asset foreclosure. Ms. Freeberg Sarma is a past secretary of the Admiralty Committee for the Association of the Bar of the City of New York, and is a current member of the Admiralty Committee. She is a member of the Bankruptcy Committee of the Maritime Law Association.